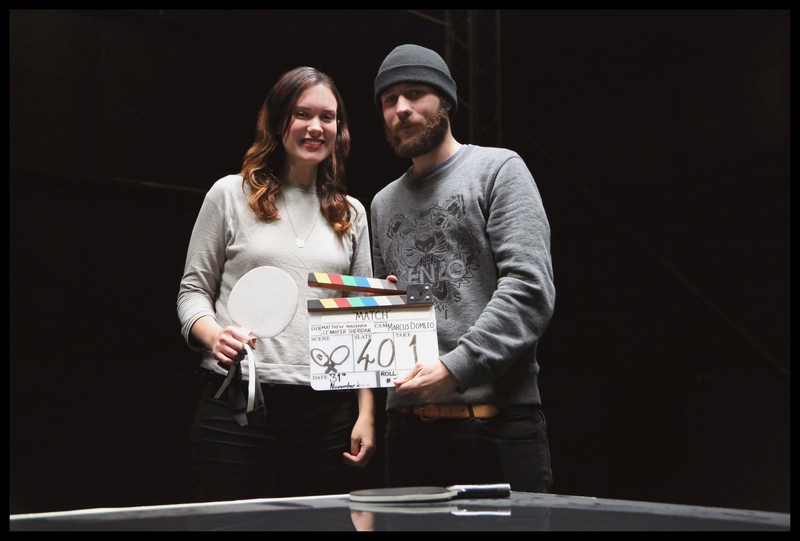 This week the blog catches up with Jennifer Sheriden who along with Matthew Markham made last years Best London Filmmaker winning short ‘Catch’…. sorry about the pun! Lets start by telling us a little bit about ‘Catch’ and what made you want to tell this story? ‘Catch’ was my partner Matthew’s idea; it was inspired by a place called Drimnin in Scotland, which is where his parents now live. As Londoners born and bred, we were transfixed by the beauty of the place and were determined to film something there. Matthew’s step-brother Woody was the cameraman and we starred in and directed it; it was all hands on deck if you’ll excuse the pun. There were some pretty hairy moments in the boat, but we managed to get it all filmed in a day and a half without dropping the camera in the sea. We were really lucky when some curious seals appeared in a couple of our shots; it was just amazing. I wasn’t thrilled about falling into the water at the end, but sometimes I guess you’ve got to suffer for your art and it was worth it for the final film as we’re all really proud of it. So what have you been up to since winning ‘Best London Filmmaker’ at last years WISFF? Winning ‘Best London Filmmaker’ was such a fantastic confidence boost for us. Matthew and I are very hard critics of our own work and always look at what we could’ve done better, so when other people like our work it means a great deal. We’ve since made another short film together called ‘The Match’ which we will be entering into festivals this year. It’s very different from ‘Catch’ as it’s quite futuristic and we had a big crew and amazing filming equipment in order to pull off some super slow motion shots. It was a big step up for us in production value and we learned a lot doing it. Matthew was my associate producer on another short film I made called ‘Acoustic Kitty’. I made it with prize money from the BFI and Virgin Media and I’m very excited about releasing it into festivals this year. Matthew has been directing adverts and branded content for a number of well-known brands; and I’ve just had my first couple of paid directing jobs, which is great step for me having been a television editor for the last seven years. Also we got married, but that’s a whole other story… a love story. Congratulations! Are you and Matthew working on anything new at the moment? We are developing a feature idea and working on an idea for an animated children’s series. I’m also co-writing a comedy web series, so it’s a really exciting time with lots going on. What made both of you move into filmmaking and what do you most love about it? I’ve always been in love with story telling from a very young age. A good story to me was something you could consume again and again and so I’ve always wanted to tell stories like that. Matthew studied Photography in California and is fascinated by composition; and the whole visual aesthetic. We both have a very different set of skills that we bring to making a film, which I feel is why we work well together. I tend to concentrate on the script and getting the right performance, while Matthew focuses on the art direction/ locations and the whole look of the film. After studying Media at the Brit School I decided I wanted to be an editor and put all my effort into achieving that goal. It’s been amazing and taught me so much about the craft of story telling. Matthew moved back to London and got a job as a creative for an agency. However, we both found it very difficult to break into the world of film coming from TV and advertising backgrounds, so we decided to make our own films and have been overwhelmed by the reaction they’ve gotten. We are hooked and there’s simply no way back for us now; we’ve got to keep making films. What’s the best bit of advice you could give to a fellow filmmaker? We would advise people to experiment and try as many things out as possible early on. Don’t tie yourself in knots trying to make something perfect and shooting exactly whats in the script. 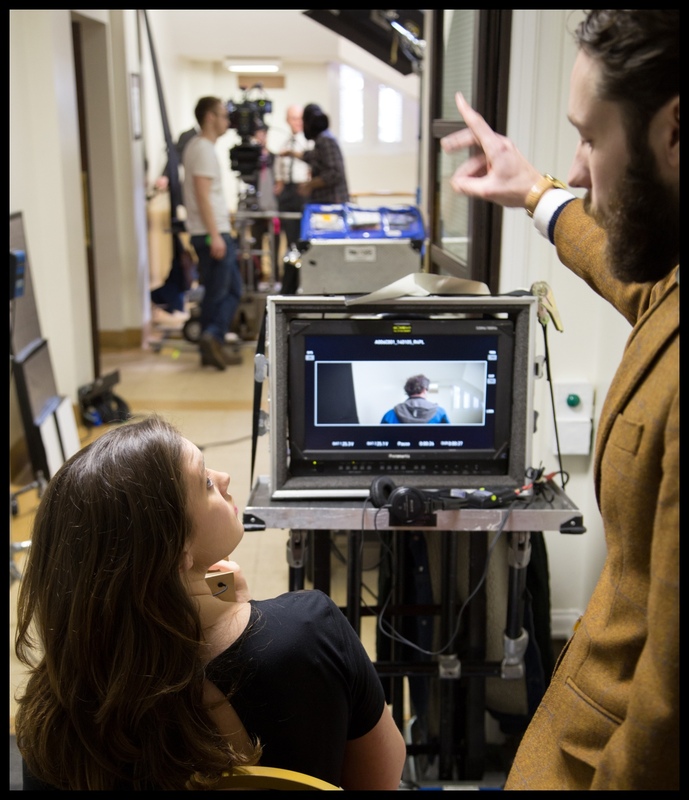 Be willing to adapt to the environments, crew and actors you are working with; whilst staying true to your overall vision and story. Be open to collaboration; you have to be willing to share your ideas with people so they can grow. Finally, as an editor I have to say try not to overindulge too much. If there’s a really nice shot of a fish tank in your film; that doesn’t mean we as an audience want to stare at it for over a minute. Every shot should be progressing the story or the audiences journey in some way; this is especially true in short films. Finally, have fun, good luck and go for it! This entry was posted in 2014 Festival and tagged advertising, award winning, editor, london filmmaker, photography, scotland, short film. Bookmark the permalink.